Edinburgh-based Miller Homes said its revenue for the half year to June 30, 2018, rose 7% to £356.1 million and operating profit increased 11% to £70.5 million. Miller Homes said it achieved a 6% increase in average selling price (ASP) to £248,000 and a 12% increase in “core and joint venture completions” to 1,493 homes. 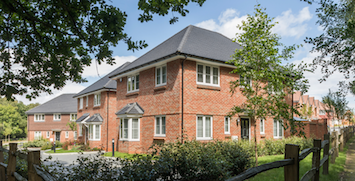 Private equity firm Bridgepoint bought Miller Homes last August in a transaction totalling £655 million from funds managed by GSO Capital Partners, a division of Blackstone. “We are entering the second half of 2018 with record forward sales for the following 12 months of £345 million, which is 23% ahead of last year,” said Miller Homes. “Although there is little clarity as regards the potential impact of Brexit, we are experiencing demand for high quality homes at good prices. “This is supported by the continued shortage of new homes and supportive Government stimulus which is providing growth in the new homes sector in contrast to the more subdued second hand market. Miller Homes CEO Chris Endsor said: “Our regional proposition continues to provide favourable trading conditions both in relation to the sales market and land buying opportunities. “Whilst there are no signs that Brexit concerns are yet weighing on our customers’ minds, it would nonetheless be welcomed to receive clarity as March 2019 fast approaches. “We continue to invest significantly in our landbank, our people and additionally in new initiatives, which will provide our customers with on line and mobile services, designed to enhance the home buying experience.